Do you love hoop earrings, but want something different? 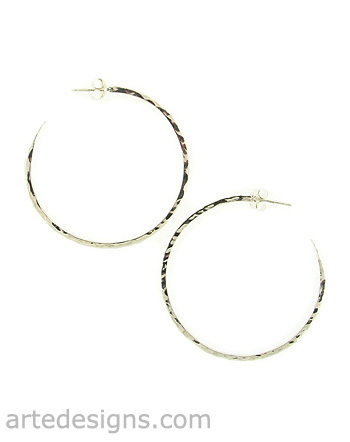 Try these edgy and modern post hoops that have texture and tons of shine! Just under 1.5 inches. Sterling Silver.